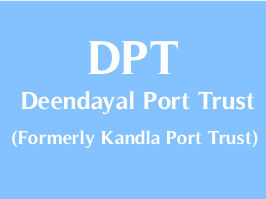 Deendayal Port Trust invites applications from eligible and competent persons for engagement as Professional Functionaries purely on contractual basis for 03 years. . Other details like age limit, educational qualification, selection process, application fee and how to apply are given below.